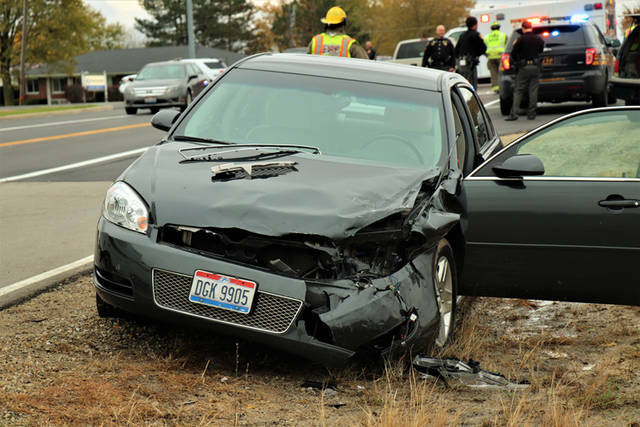 Three people suffered minor injuries in a two-vehicle crash on Friday at the intersection of Russ Road and State Route 121 in Greenville. GREENVILLE – An injury accident Friday evening left three injured and transported to the hospital. 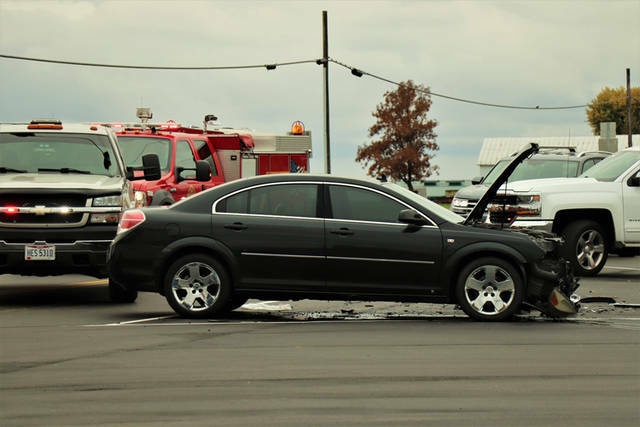 At approximately 4:45 p.m., emergency personnel from Greenville Township Fire and Rescue along with officers from the Greenville City Police Department and deputies from the Darke County Sheriff’s Department were dispatched to the intersection of Russ Road and State Route 121 in regards to an injury accident with possible entrapment. 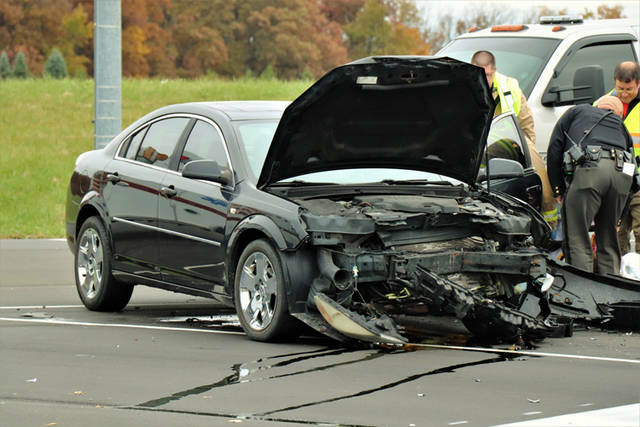 According to authorities on the scene, a black Saturn Aura was traveling northbound on State Route 121 when the driver attempted a left hand turn into the path of a gray Chevy Impala, traveling southbound on State Route 121, causing a head-on collision. Due to the collision, the Chevy Impala continued onto Russ Road, crossing over to the left side of the roadway before coming to rest. The female driver, and lone occupant of the Saturn, was treated on the scene by Greenville Township Rescue before being transported to Wayne HealthCare for her injuries. 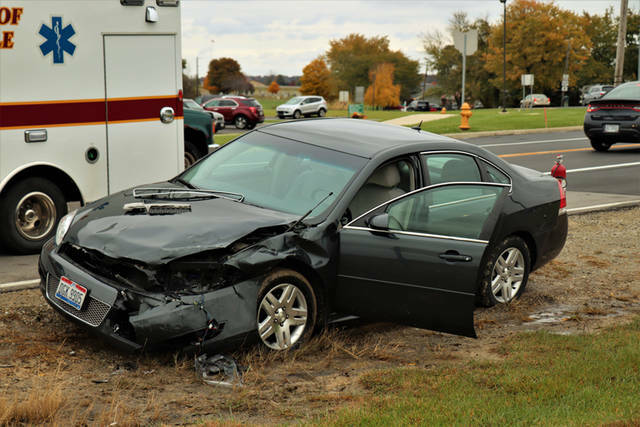 The female driver of the Chevy Impala and her male passenger also were treated on the scene by Greenville Township Rescue before being transported to Wayne HealthCare for their injuries. Officials described the injuries of all three involved in the accident as minor in nature. This entry was tagged crash, Darke County Sheriff’s Department, Greenville, Greenville City Police Department, Greenville Police Department, Greenville Township Fire, Greenville Township Fire and Rescue, Greenville Township Rescue, Wayne HealthCare. Bookmark the permalink.